Become a museum volunteer and give the gift of time! 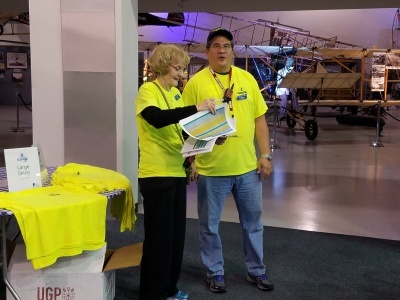 Volunteers work with the public and behind the scenes, all in an effort to deliver our mission of using aviation as a gateway for people to embrace adventure and innovation while using tools of science to explore how the physical world works and how the dream of flight is made into reality. 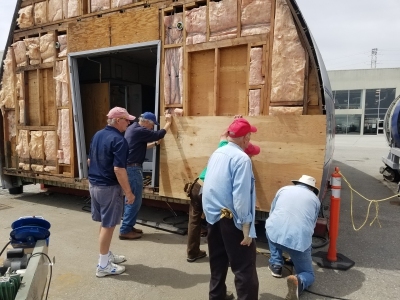 Depending on their skills and interests, volunteers serve as docents, public programming facilitators, librarians, and even work on exhibit fabrication and aircraft restoration projects. This interactive public programming volunteer opportunity is for teens ages 14-18. Flight Teen Volunteers work a split schedule or alternating 1st and 3rd or 2nd and 4th Saturdays or Sundays, with an extra shift on a 5th Saturday or Sunday depending on the requirements of the month. 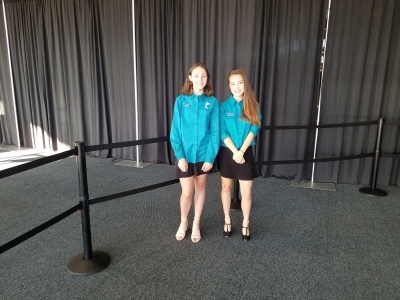 Teen volunteers work directly with the public in presenting and facilitating aviation and STEM programming with the Imagination Playground, Invention Lab, Penguin aircraft, Virtual Reality experience, etc. Flight Teens work throughout the year and applications are accepted on an ongoing basis. Apply today! 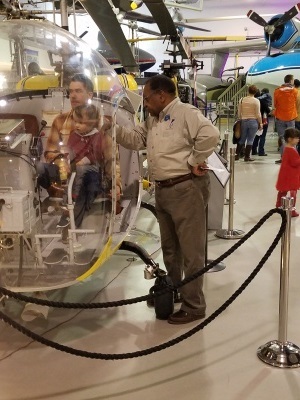 If you are 14 on or before September 1, 2018, and are looking for an aviation and STEM education-related volunteer experience, this opportunity might be for you! Aviation Camp volunteers work select holiday periods November through April, with opportunities to work summer shifts June through August. Camp volunteers work a split schedule of am/pm shifts for four hours at a time and are asked to work for at least 2 week-long camp secessions. Applications are accepted March through April. Acceptance is based on application answers, interview results, and overall number of applicants. The camp volunteer program is limited to between 40 and 50 volunteers during the summer months. Scheduling and availability are also weighed heavily in the decision process. Restoration Shop volunteers work primarily on Tuesdays and Thursdays from 9/9:30 am – 2pm. Their main projects include, but are not limited to, facility maintenance projects and exhibit-related installation, maintenance, and repair. Shop volunteers are expected to work both independently and as a team, based on the requirements of the current project. Some familiarity with mechanical equipment is a plus. Admin volunteers work primarily with membership and development-related activities. Volunteers typically perform general office tasks and familiarity with database work and MS applications are helpful. Library volunteers catalogue artifacts, organize photographic collections, and scan images and documents to build our collections database. A background in library work is not a requirement, though volunteers should be tech savvy. 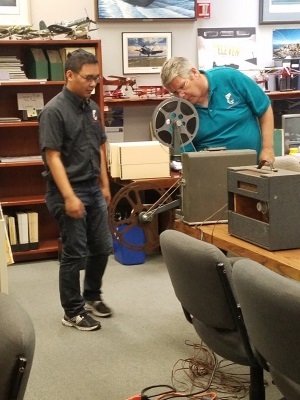 Public Programming volunteers work primarily on Saturdays and Sundays for either an AM or PM shift. Volunteers are trained in all the areas of public programming and rotate within those offerings throughout their shift. Volunteers work in our Invention Lab, Drone Plex, with our simulator experiences, and more. Interpretive volunteers typically work one 4 hour shift a week, either AM or PM. They volunteer primarily in the gallery, providing tours to school groups and other prearranged groups. They work directly with our visitors by engaging them in gallery experiences. If any of these experiences seem like a good fit for you, please download an application or pick one up the next time you visit the museum. After submitting your volunteer application, you’ll be contacted by phone to schedule an interview. Candidates will attend a volunteer orientation and then train with an active volunteer.